Medical Port is a medical travel facilitator, dedicated to connect individuals with the best healthcare in private hospitals and clinics in Portugal. Medical Port makes sure your health comes first by taking care of all travel arrangements and medical bookings so that you don’t have to worry about anything but your health. Our goal is to provide foreigners with adequate options for medical care, gathering Portugal’s vast expertise in health care services, as well as the country’s renowned hospitality, on behalf of the clients whilst paying attention to the details that assure their well-being. 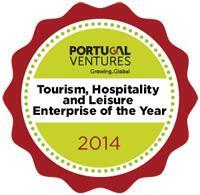 Medical Port has a Medical Tourism Specialist Certified person in the team, and won the “Tourism, Hospitality and Leisure Enterprise of the Year 2014” from Portugal Ventures. To better address the treatment of Neurological disorders, Medical Port partnered with Campus Neurológico Sénior (CNS) where patients and their families can learn how to deal with the diseases and to have a better life. CNS offers specialized treatments for Parkinson’s, Alzheimer’s, Multiple Sclerosis and several other neurological diseases. CNS offers a personalized approach to each condition and each patient from the diagnosis phase to the therapeutic alternatives and ensures patients and their families can learn to cope with the conditions.